KIEV, Ukraine -- European Championship co-hosts Ukraine and Poland denounced a BBC report that portrayed their fans as racist, and European soccer’s governing body reiterated that all foreign guests will be safe. The BBC Panaroma documentary, titled “Euro 2012: Stadiums of Hate,” showed fans in the two nations giving the Nazi salute and taunting black players with monkey noises. Asian students were also shown being attacked at Metalis Stadium in Kharkiv, one of the host venues. “We believe this report is outrageous, done in the best traditions of Soviet journalism,” Voloshyn said. “Ukraine is one the leaders in Europe in terms of religious and racial tolerance. Markian Lubkivsky, UEFA’s Euro 2012 director in Ukraine, said foreign fans coming to Ukraine would be safe. “From UEFA’s point of view, I see no threats for citizens of various nationalities to stay in Ukraine,” Lubkivsky was quoted as saying by the Interfax news agency. He added Campbell’s statement was “vexing” for Ukraine. In Poland, the government body that is organizing Euro 2012 called the accusations of racism “unjust,” stressing that Poland has zero tolerance for racism and xenophobia. “The problem of stadium pathologies, such as xenophobia or racism, is a problem specific to the whole of Europe and not only to Poland,” said Mikolaj Piotrowski, a spokesman for the body. Poland’s Interior Ministry said in statement it would complain to the BBC because its report contained “unjust,” biased and unverified opinions. Ministry spokeswoman Malgorzata Wozniak said Polish police were ready to ensure security during the tournament. 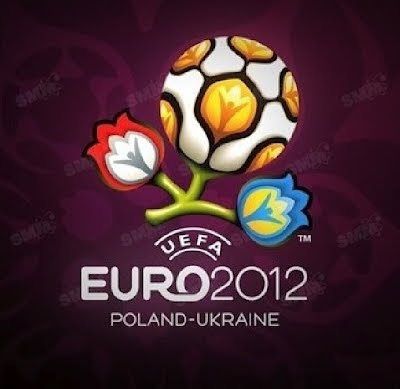 Commenting on the program, Campbell urged fans to not go to Poland and Ukraine for Euro 2012, which starts next week. “Stay at home, watch it on TV. Don’t even risk it,” said Campbell, who was black. He added that UEFA was wrong to award the tournament to Poland and Ukraine. “What they should say is, ‘If you want this tournament, you sort your problems out. Until we see a massive improvement ... you do not deserve these prestigious tournaments in your country,’” he said. Ukraine finds itself under increasing scrutiny and pressure as it prepares to host the championship. Besides the racism accusations, President Viktor Yanukovych is under harsh criticism for the politically tainted jailing of former Prime Minister Yulia Tymoshenko. Some critics say Euro 2012 has turned into a public relations disaster for Ukraine.